South Carolina is not known as a great state for blueberries due to its soil and summer heat, but with proper plant selection and amended soil, blueberries can thrive. Blueberries prefer acidic (pH 4.0-5.5), well-draining soil that is high in organic matter, so if you are planting blueberries in South Carolina, you should test the pH of the soil before planting and amend it if needed. In addition, blueberries require cool nights for berries to properly set. South Carolina is located in USDA Hardiness Zones 7a and 8b, where winters are generally mild but summers are hot. Rabbiteye (Vaccinium ashei) and southern highbush (V. corymbosum) varieties can be grown in South Carolina, but northern highbush and lowbush varieties, which require a longer set period, should be avoided. This southern highbush cultivar produces large, flavorful berries early in the season, usually ripening in late spring in South Carolina. As a bonus, O'Neal bushes produce a profusion of white flowers and the blooms last longer than on most blueberry plants. O'Neal berry plants grow upright and may reach 6 feet. These blueberries should be planted in late fall in full to partial sun for best results. 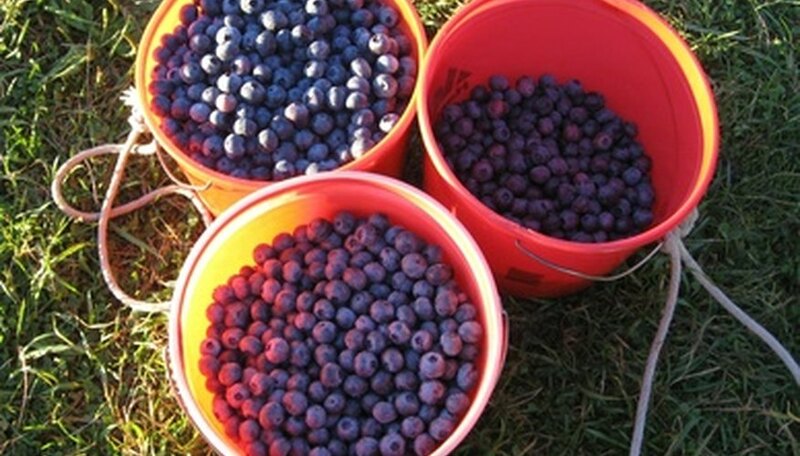 As for all blueberries, soil should be kept moist. O'Neal, like all southern highbush plants, is self-fertile, so only one plant is required for a harvest, however, planting multiple plants of different cultivars will increase the size of the berry and the yield. This rabbiteye cultivar produces light-colored berries early in the season, usually in May in South Carolina. The premier berry is large and high quality, meaning that it is firm and sweet. This blueberry bush can grow to more than 6 feet tall, is fairly insect tolerant and can withstand early frost better than other varieties. These plants thrive in full sun and soil should be kept moist. When planting rabbiteye bushes, you should plant at least two varieties for good cross-pollination and larger yields. This rabbiteye cultivar is a vigorous plant that is often used in commercial production and is considered the best rabbiteye berry available. Tifblue berry plants ripen in the middle of the season, usually in late May to early June in South Carolina. These plants produce a firm, light-colored berry that is very tart unless completely ripe. You should plant at least two varieties of rabbiteye blueberries as these plants require cross-pollination. These plants prefer full sun and moist soil.